Increased Body Mass Index(BMI) could hamper mental well-being revealed a study published in the Journal of The BMJ. The study explored the impact of aspects of physical health, such as body weight, heart health and blood pressure, to see whether people with poorer physical health went on to be less happy and less satisfied with their lives. It has been proven in previous studies that individuals who are happier and more satisfied with their lives tend to have better physical health and also live longer than those who have lower mental well-being. But one cannot tell whether it is the steady physical health that leads to a sense of happiness and fulfillment or is it the other way round. For the study, the scientists used a technique called Mendelian randomization. The team asked whether poorer physical health causes lower mental well-being, or whether individuals with lower mental well-being are more likely to go on to have later problems with their physical health. This technique helped them understand the sequence by using genetic variants that have been associated with physical health and mental well-being. Unlike previous methods, this technique helps to rule out the influence of other factors that might be causing both physical health and mental well-being. Team tested 11 measures of physical health including coronary artery disease, heart attack, cholesterol, blood pressure, body fat and Body Mass Index (BMI). Higher BMI on lower mental well-being were found to have a consistent causal effect. There was little evidence that other physical health traits were leading to less happiness and life satisfaction. The same pattern of results was seen in a follow-up analysis using the UK Biobank cohort of over 300,000 individuals aged 40 to 70 years old. Here the authors were able to look at different aspects of life satisfaction and found that the key impact of higher BMI was on lower satisfaction with health. They were also able to show that the effect is present from age 40 through to age 70, and in both men and women. 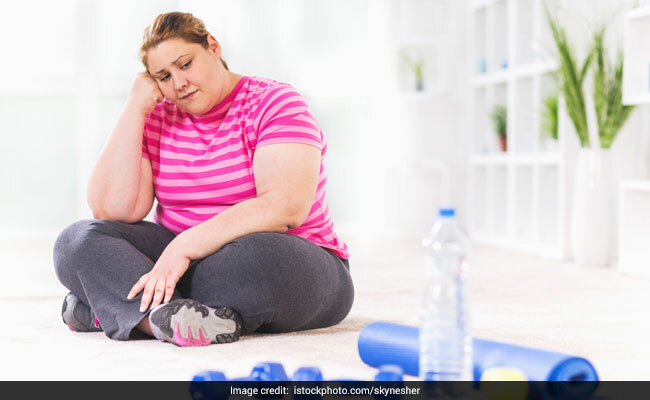 Dr Claire Haworth, the senior author of the study, added, "Results so far highlight the pressing need to tackle the obesity crisis because higher BMI is causing the population to be less happy and less satisfied with their lives. This information could be immediately useful to clinicians encouraging patients to maintain a healthy weight." Here are some dietary tips recommended by our consultant nutritionist Rupali Datta, to manage obesity better. 1. Swap refined carb sources for whole grains. A whole grain is a grain of any cereal that contains the endosperm, germ, and bran, in contrast to refined grains, which retain only the endosperm. A whole grain manages to retain all the nutrients that are processed in the refining. Stock up on whole grains like bajra, ragi, maize and jowar and use them often. Try red, black and brown rice instead of white rice .You can use these whole grains for breakfast porridges. 2. Just like grains, whole dals are also a better bet than the washed dals. Rajma, and chana dals are some of the healthiest dals you can fill up your shelves with. You can cook them, have them in sprouts or in soups. 3. Avoid red meat and opt for lean meat like chicken and salmon. Adding protein with every meal could prove to be a game changer for anyone trying to lose weight. 4. Load up on seasonal vegetables. They provide both soluble and insoluble fibres in addition to vitamins, minerals and antioxidants. 5. Stay away from trans fats as they are one of the biggest culprits of growing instances of obesity globally. Fast food, instant food, fried junk, cookies, pasta, burger and noodles- these trans-fats are spread all across us.